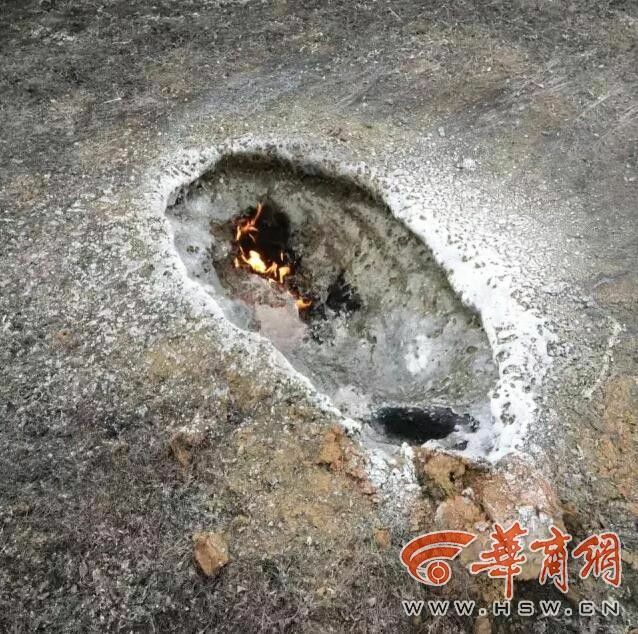 Resident in a Chinese village were left baffled after an unknown object had apparently fallen from the sky and left a big burning hole on the ground. 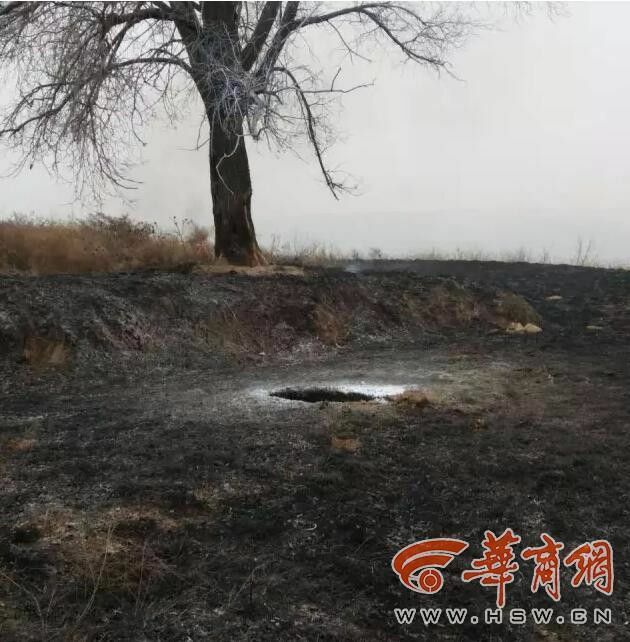 The object apparently landed on the top of the mountain with a loud bang on December 12 in Zhangjiapan village, Shaanxi Province. The crater was burning when some residents rushed over but mysteriously no object was reportedly found in the hole. Some people have linked the incident with a UFO. The crater reportedly measured one metre long (3.2 feet) and 50 centimetres wide (1.6 feet). 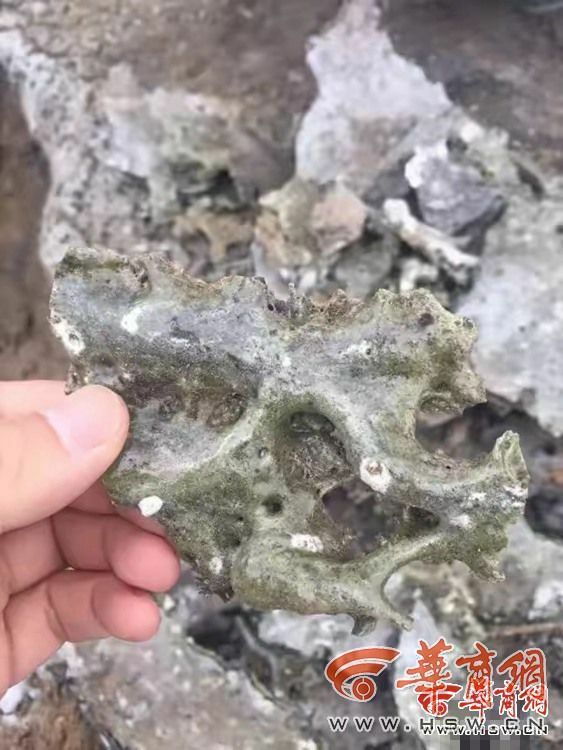 The police of Fugu county, which manages the village, said they had found objects that might be related to the incident in three locations. All of the locations were in the south-western part of Fugu county. 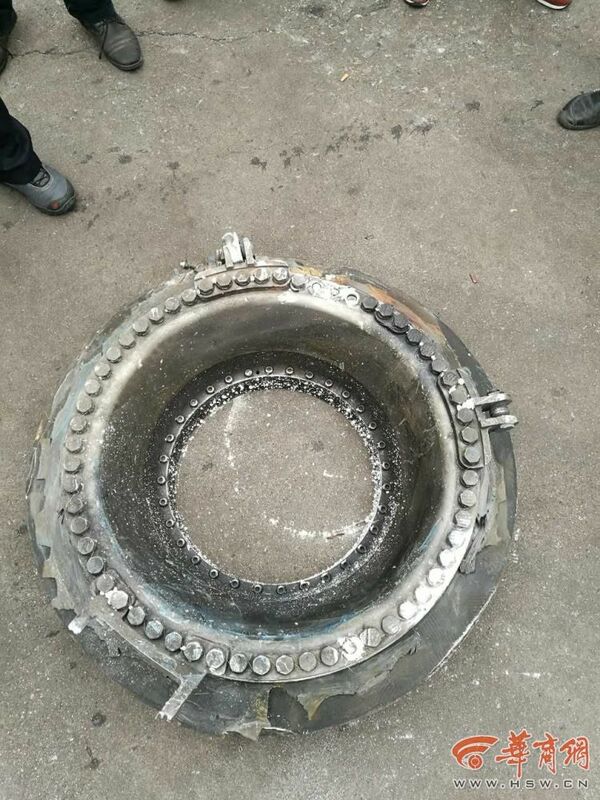 Among them, one was a large metal ring, said the police. Letters and numbers could be seen marked on the surface. 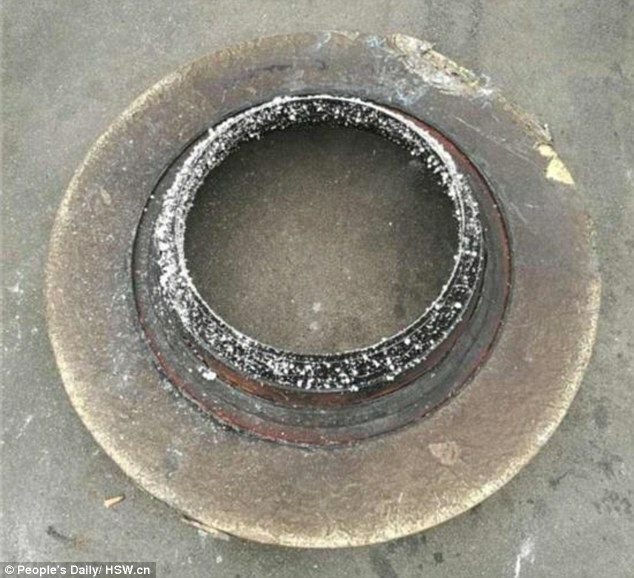 The ring is thought to have fallen at high speeds and crashed into the rooftop of a house. The police said all the objects had been sent to experts for tests. No injuries have been reported. On December 13 a video showing a fire burning in the crater, was put online. No solid object can be seen in the crater. 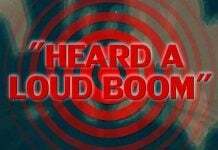 A villager heard a deep sound in the sky at around 1pm on Friday. 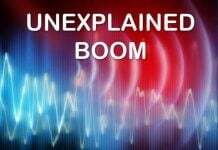 He looked up and saw an object rapidly falling towards the mountain: It made a loud bang when it hit the ground. Then it started burning. The dry grass nearby was quickly set aflame. 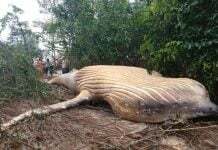 The mysterious incident has attracted thousands of comments from Chinese netizens. Many are guessing what the object could be, with some suggesting it could be a part of a UFO: ‘It must have fallen from a crashed alien spacecraft’ or ‘the ring looks like the door of a UFO cabin‘ or ‘It must have been the wheel of an alien’s vehicle‘. Or was this mysterious burning crater created by some parts of Shenzhou 11 spacecraft? The incident is now being investigated by the police.